Lakeview Cabin is a renovated, four-season home perched above scenic and tranquil Lake Amherst in Plymouth, Vermont. 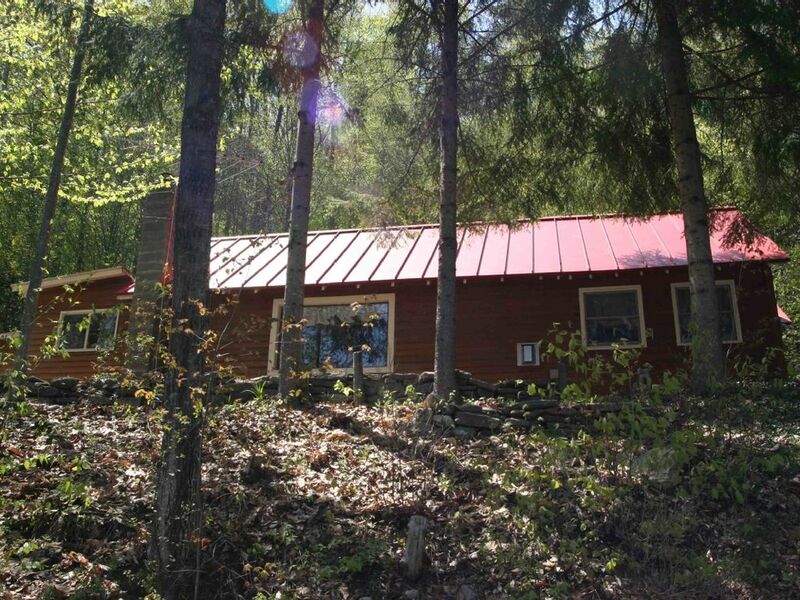 The family- and pet-friendly cabin is settled amongst pine forests and state parks. Lake Amherst is perfect for kayaking, fishing and swimming in the summer and ice skating and ice fishing in the winter. Lakeview also offers 100' of private shoreline and a private dock. As a note to our guest - our private dock is located down the driveway and across VT Scenic Rt 100. Lakeview boasts an excellent location for skiers and snowboarders. The cabin is located 10 mins from Okemo, 15 mins from Killington and 30 mins from Bromley, Magic and Stratton. Summer hiking, biking, boating and outdoors activities abound. The New England fall foliage provides a breath-taking backdrop to the cabin's Lake Amherst views and winter snow sports are easily accessible and active from November through April. So glad you had a great trip & stay at the cabin! We'd love for your family to visit again in the future. Happy New Year from Lakeview Cabin! The house was clean, comfortable and had all the supplies - including a canoe and kayak - that we could ask for. Great location. Great trip. Definitely recommend! So glad that you enjoyed your stay! We hope that you return to Lakeview soon. Thank you so much for the 5-star review! We are so glad you enjoyed your stay at the cabin and do hope you'll return for a future visit. Our apologies for any confusion - we make every effort to be clear about the cabin's location on a Vermont Scenic Byway in our descriptions. Very charming cabin. Perfectly located between Okemo and Killington. Very nice cabin. Updated kitchen and interior, well stocked with everything you need for a great weekend retreat. Property is well maintained and very clean. Look forward to staying again in the future. Rates are subject to change until confirmed -- discounts may be offered for mid-week or longer-term rentals. Professional cleaning fees are included in rental rates. Pets must be approved by owner - multiple pets are possible if well-behaved / crated. All linens & kitchen supplies are included. Maximum guest occupancy is 8 people at all times.